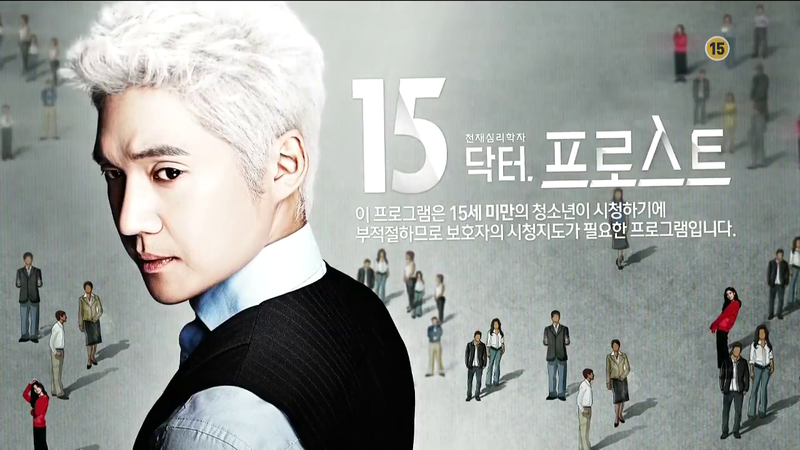 YSA appears a grand total of three times in the opening poster, wearing rather bright clothing compared to the faceless others behind Frost. I’m honestly not trying to jump to conclusions here, but I wonder what meaning there may be in her prominence among the sea of nameless and faceless people that Frost cares so little about. She certainly does stand out in the show in terms of character. And especially after this episode, I can’t help but wonder if we’re going to get a loveline. Wikipedia lists the show as a thriller, so I’m not sure whether to let ships sail just yet, as we could be seriously disappointed. 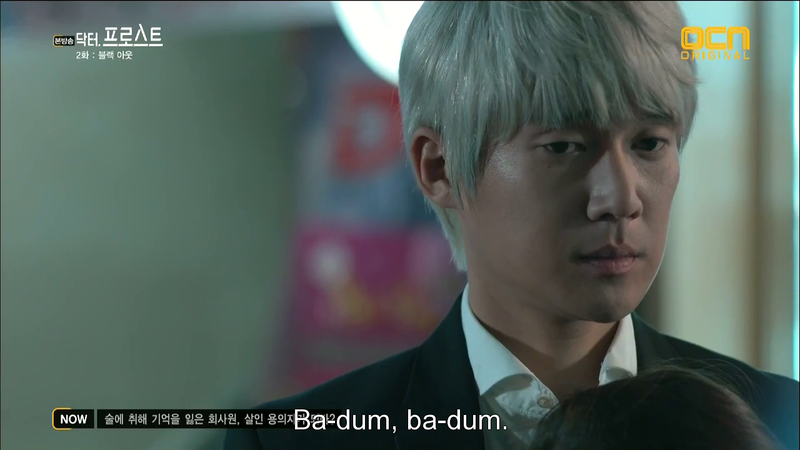 But then again, Liar Game’s also listed as one, and we definitely had some smoldering chemistry (*fans self*) there, so fingers crossed? A group of college boys drink at a bar. The waitress leans over one of them to pass a drink and the fellow immediately gets flustered, causing the others to poke fun at him. Turns out he’s been trying to catch her eye for a while, with no success as he’s too shy to really approach her. His friends keep trying ot make him drink, to which he refuses over and over saying that he doesn’t want to black out, and that alcohol affects him badly. 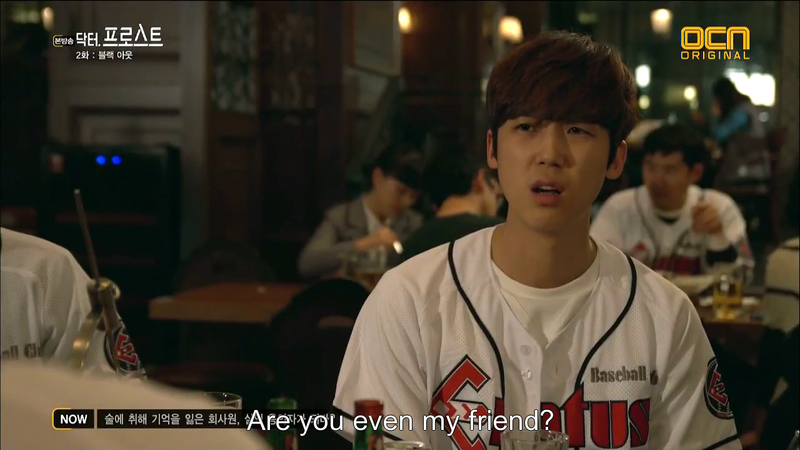 His friends (worst friends ever, honestly) don’t listen and continue to coerce him. He gets a phone call from the counselling office and leaves the table for a bit. His friends immediately spike his drink. Meanwhile, he promises to arrive for counselling the next day. Why do I feel like he’s not going to make it? He ends the call only to see the girl he’s been crushing on, staring at the screen as someone famous throws the first ball for a baseball game. 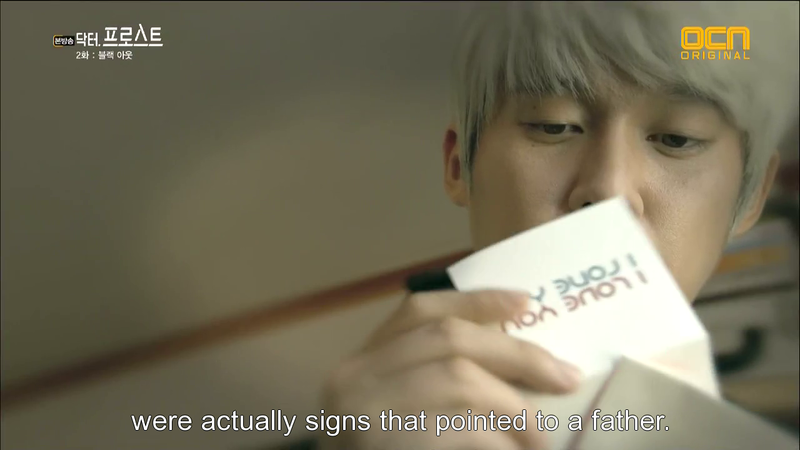 He returns to his table and takes a sip only to splutter in indignation at the taste of soju. 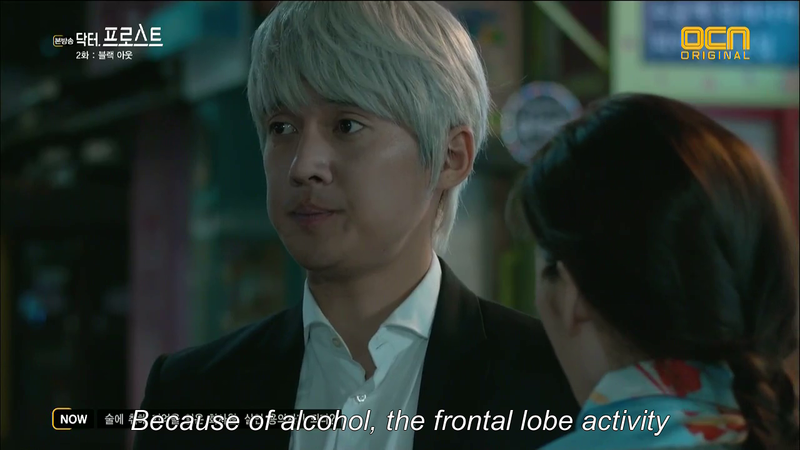 Worst friends ever continue to cajole/force him to drink more and more until enough alcohol enters his system and he just goes along with that they say. He wakes up the next day on the street, and mutters to himself that his friends should’ve at least helped him home. 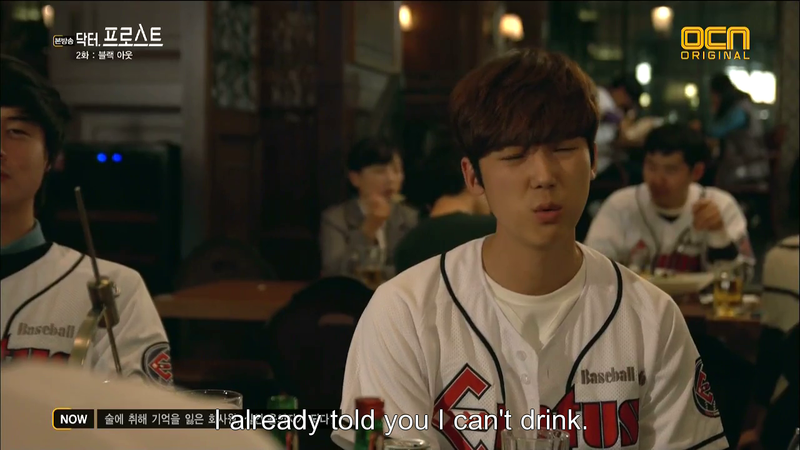 Look buddy, they essentially forced to get drunk, disregarding your own decision on the matter. What makes you think they’d care if you slept on the street? He gets some odd looks from passersby as he walks down the street, which people whispering and hurriedly walking away from him. It’s not until he catches sight of himself in a store window that he realizes why. The front of his shirt is covered in blood. Uh oh. 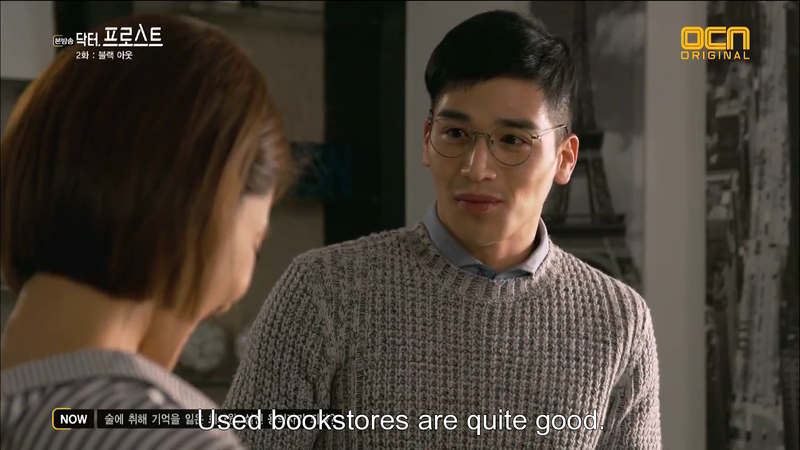 Meanwhile, Song Sun and YSA who are sorting out boxes, gets a visit from the rather adorable Bae Doo Ahn, a manager of some sort at the university who brings her a copy of the book she’d been looking for a while. Apparently he went to great lengths to get it too seeing as he scoured used-book stores as it was out of print. She cheerfully thanks him, while YSA shoots them meaningful glances. 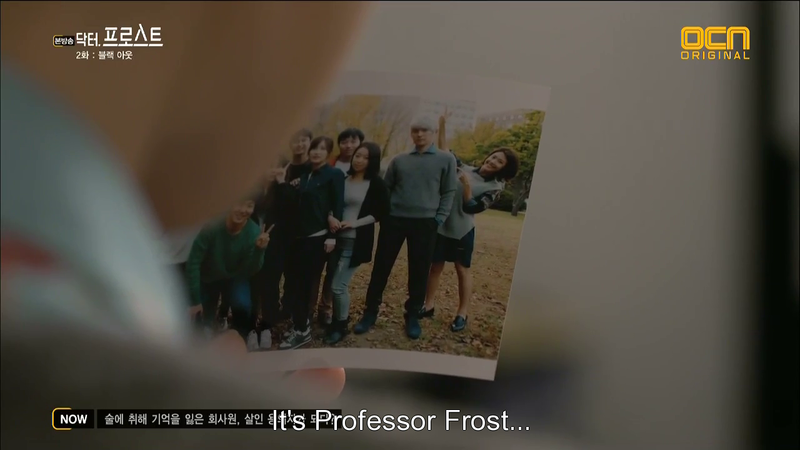 SS asks her to get something from her drawer, YSA obliges only to also find a picture of a younger Frost and SS along with several other classmates. And the two certainly look friendly. SA asks if they were in the same year to which SS doesn’t really give an answer. SA wryly states that they probably weren’t close friends, to which SS also remains silent. Okay, show, are you telling me Frost the Emotionless dated Song Sun? 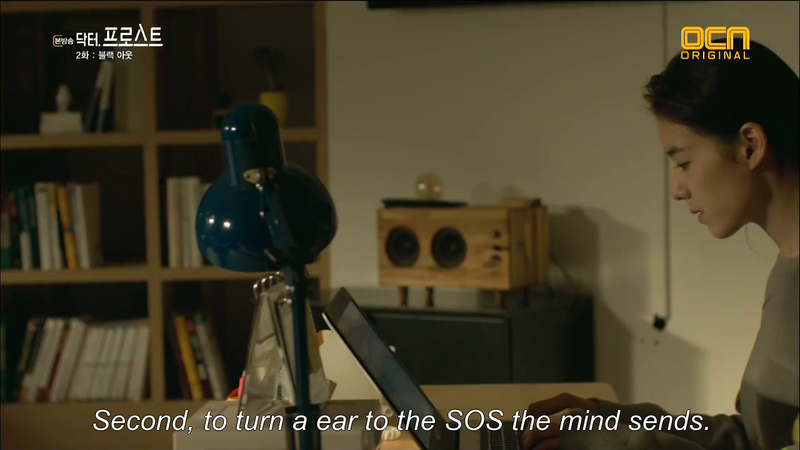 YSA gets a call from one of the counsellors stating that Kang Jin Wook, the fellow we meet at the start of the episode, hasn’t arrived for his appointment today either. SA volunteers to go check on him, as it’s the third time counselling has been pushed back. 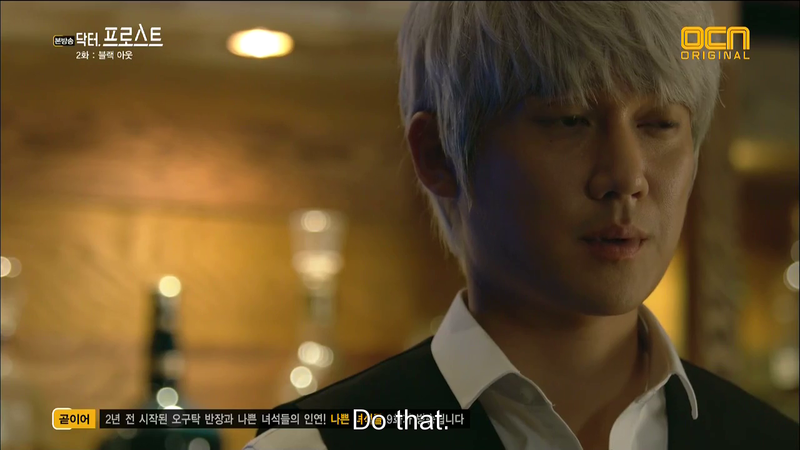 Meanwhile, SS and Frost are called by Cheon Sang Won to suggests that they work on an upcoming project together. SS is against it immediately. Frost agrees, so long as the topic is interesting enough. Interestingly, the two were apparently an excellent research team before. These hints at the past are going to drive me nuts. 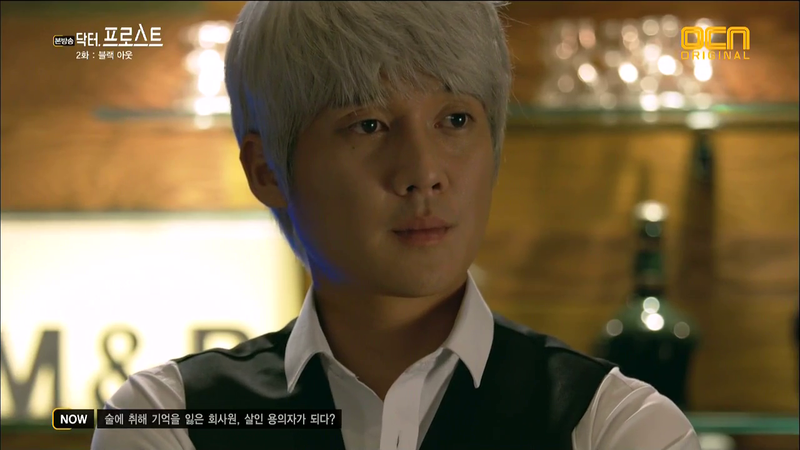 Detective Nam Tae Bong (NTB) hurries in to inform Frost of a new case…and falls head over heels in love with Song Sun at first sight. No really, the man’s practically drooling at the moment. He quizzes an exasperated Frost on the way to the station, who simply ignores him the entire way. Meanwhile, KJW is on the run; he hails a taxi and rides in a state of constant agitation. It gets worse when the driver turns on the radio and he hears of the girl’s death for the first time. He begins to shake as it’s revealed that the CCTV captured a man in a white bloodstained shirt who is now wanted by the police. The driver side-eyes him and notices his shirt (honestly dude, why on earth didn’t you change out of it). KJW hurriedly exits the taxi in a flash, running home. 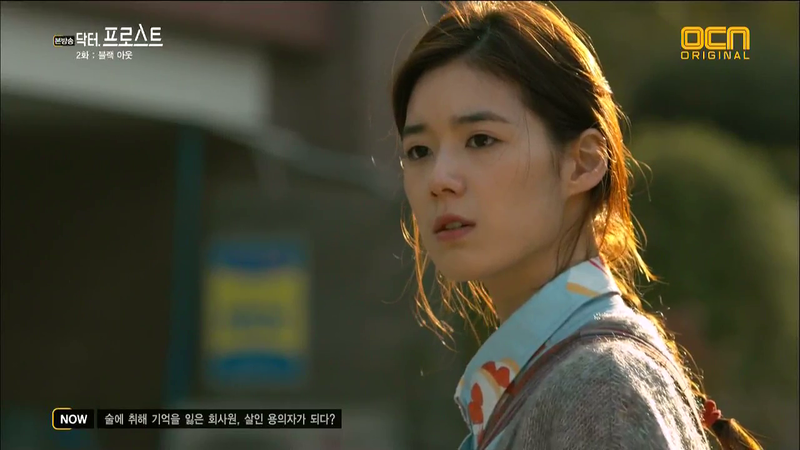 Frost visits the dead girl, Oh Ji Min’s home and notes the rather expensive handbags and clothes she owned. She was an art student, and worked part time to support her family, according to her mother, who gets pissed when Frost asks whether there was something who brought such costly things for her. .Frost shrugs saying that he was just saying it the way he saw it. He tries to open a locked drawer in OJM’s desk, yet her mother all but shoves them out. 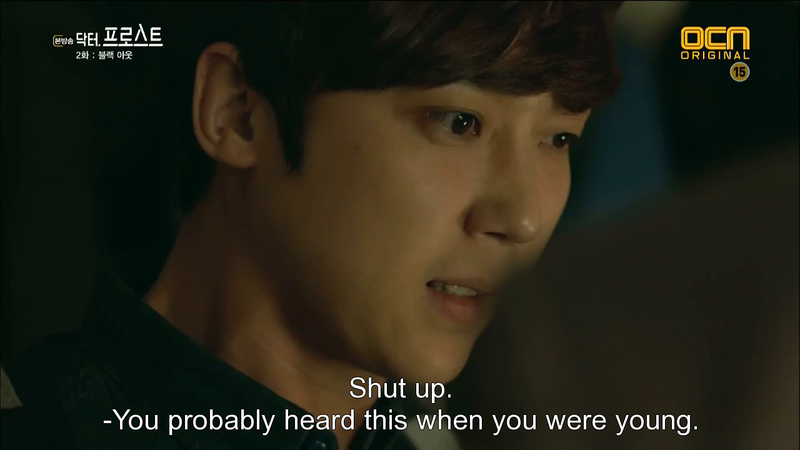 Seung Ah makes her way to KJW’s place, trying to call him while on the way. The line’s busy as JW, having already made it home, has called that awful friend of his, who immediately tells him that the girl is dead in this weird “how cool is that” sort of tone. Ugh. JW runs for his life, getting in his car, only for a thus to appear out of nowhere and hold a knife near his ribs. The thus asks him if he killed her,which JW vehemently denies, trapped in the car with him. 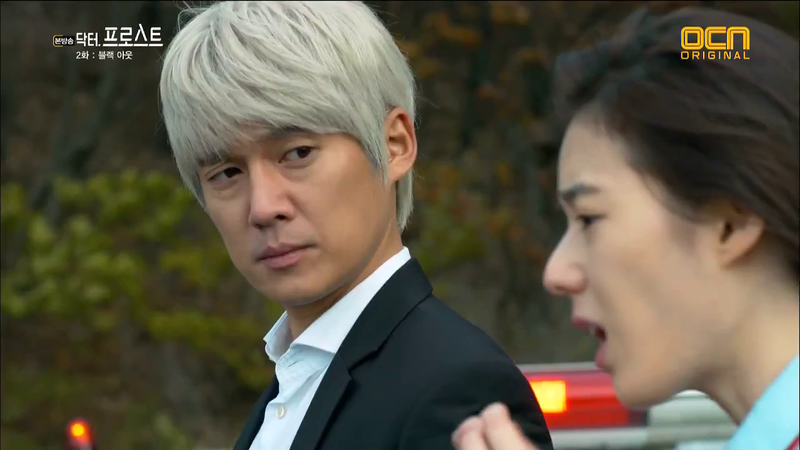 Arriving at the complex, SA pauses to see JW struggling in the car. She rear-ends the car, and draws the attention of a police officer. 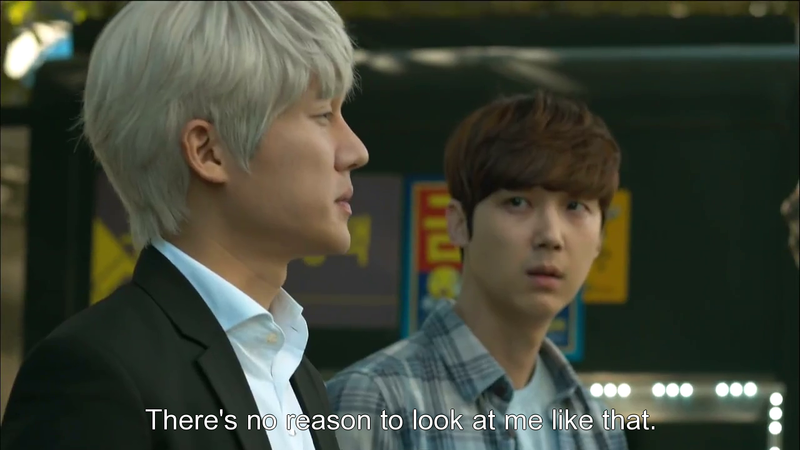 The thug flees, and SA hurriedly brings JW to the university. 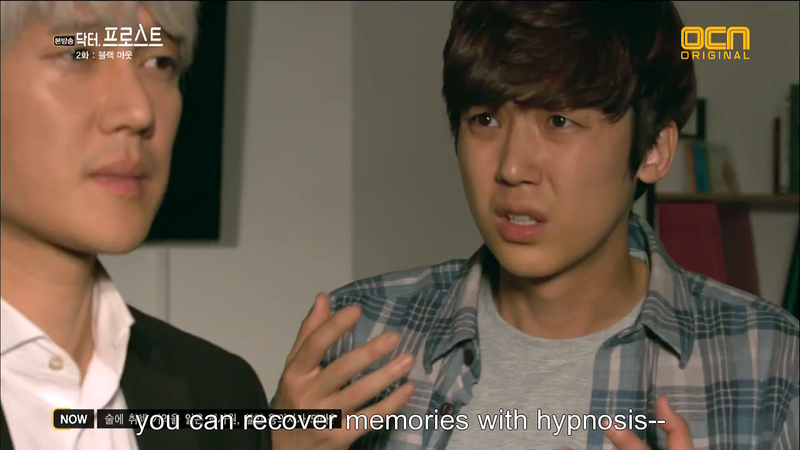 Frost assesses him, noting that there’s nothing he can do to recover those memories. 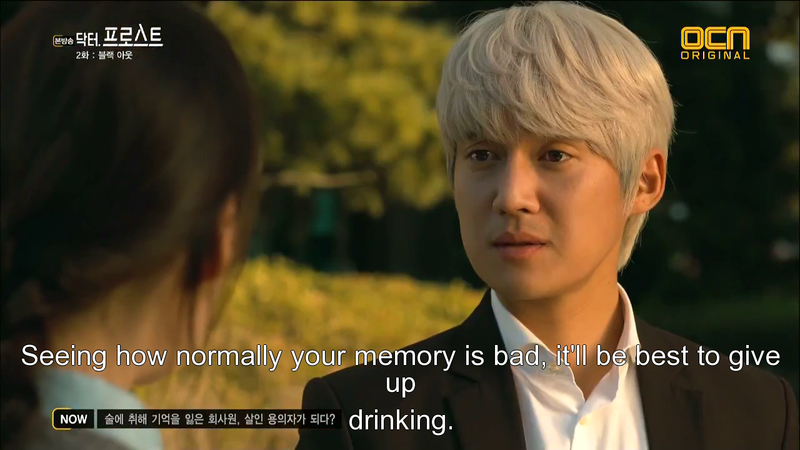 JW doesn’t remember the last thing he did that night either. 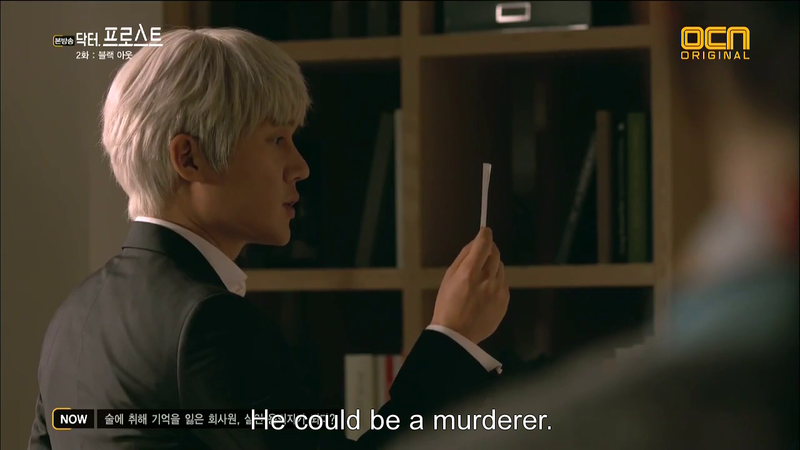 All in all it makes for a very strong suspect in Oh Ji Min’s (OJM) murder, as Frost tell him. YSA defends JW, yet NTB bursts in to ask Frost something or the other and is shocked the find the main suspect right in front of his eyes. YSA plays the idiots by preventing Detective Nam from getting to him, literally holding him off, and pleading Frost for help. Frost refuses, and NTB breaks free, hurrying after JW, who has vanished in the meantime. 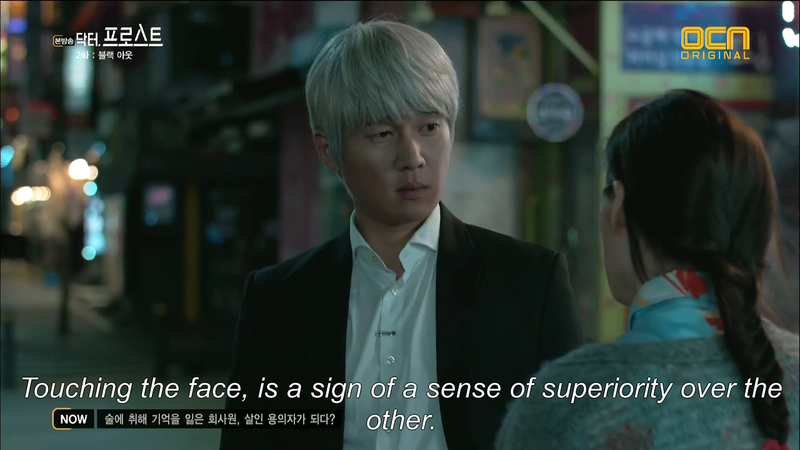 YSA is outraged and asks how he could do that to someone who came to him for help. Frost’s answer is as clear-cut as always. YSA searches for JW, trying his apartment, and his workplace, to no avail. Exhausted, she visits Frost’s bar and proceeds to drink enough to start insulting him like crazy. 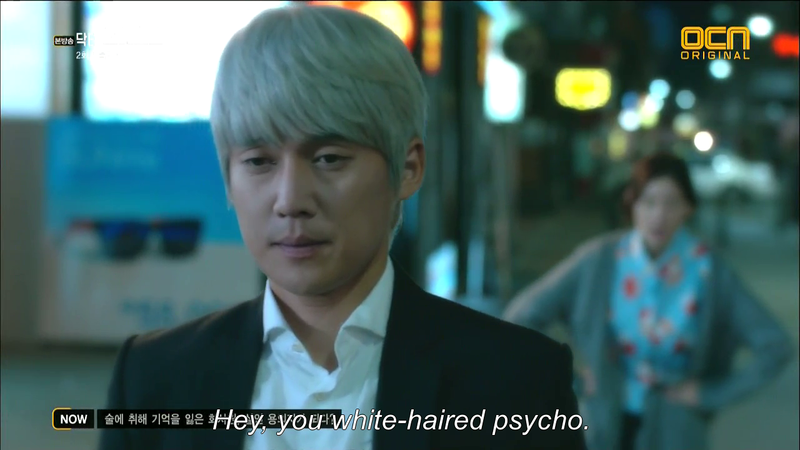 Frost ignores her for the some part, though the “white-haired psycho” does succeed in getting some exasperation in his eyes. SA happily continues to yell at him, until she falls off her seat. Guess who’s tasked with getting her home That’s right. YSA happily yells her way through, shouting at him to let her go, he obliges instantly. After finding her feet, she launches into a tirade, made even more amusing by the extremely exasperated, annoying and even amused looks that cross Frost’s case. Just as he thinks her tirade is over, she suddenly leans against his chest. He pauses, an expression of what looks like surprised, crossing his face. 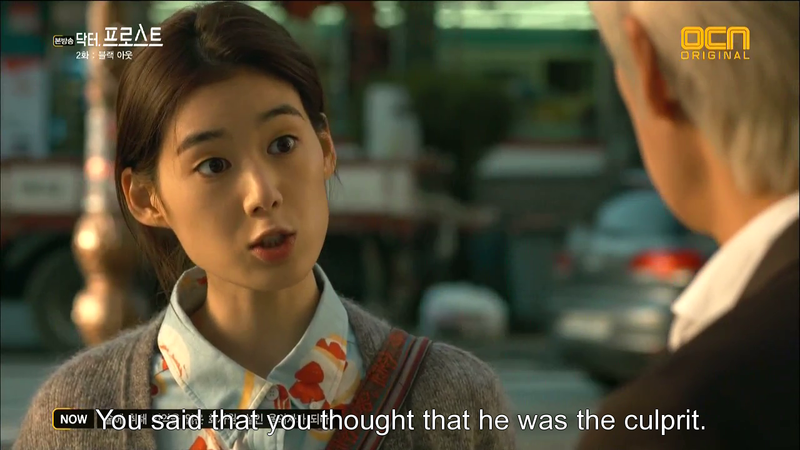 She absently notices that he does appear to have a heart, and that she can hear it beating. Shipping you already. He pushes her away, calling her annoying. She yells once more as he walks away, and he pauses. The scene fades to black. Interesting. SA awakens (falls off) SSon the couch in the counselling office with a post-it stuck to her forehead. 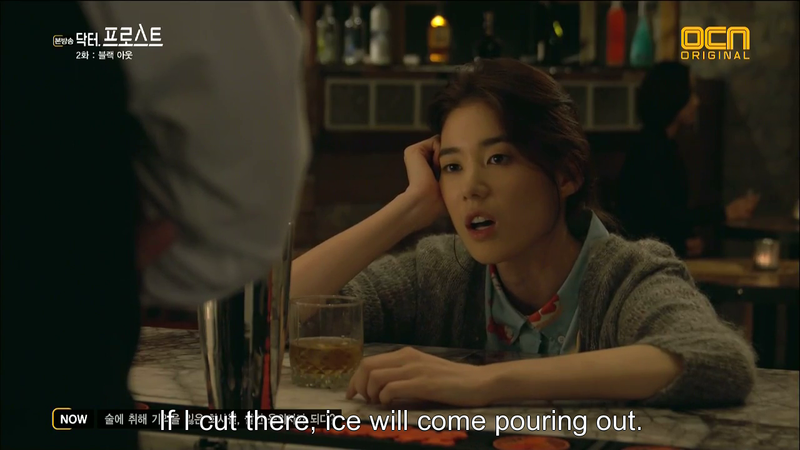 Frost tells her to research some more on OJM, and that from now on drinking alcohol is strictly prohibited when on the job. JW hovers around the crime scene and recalls bits and pieces of the night of the crime. He remembers seeing her walking bruised and battered, and asking for him to save her. He shudders, just as an arm reaches out from behind him and drags him behind the building. Turns out it’s Frost who says that he’s developed an interest in the case and wants to retrace JW’s steps. He says that he doesn’t care about whether or not JW is innocent. 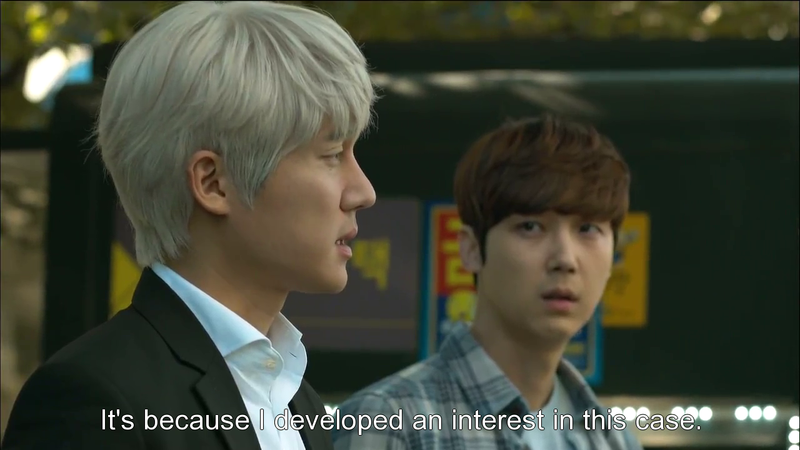 For some reason, the fact that JW can’t remember a thing appears to interest him. They go to JW’s apartment which Frost scans thoroughly, he pockets a picture of a younger JW clutching some sort of cloth, which is cut out by the picture. 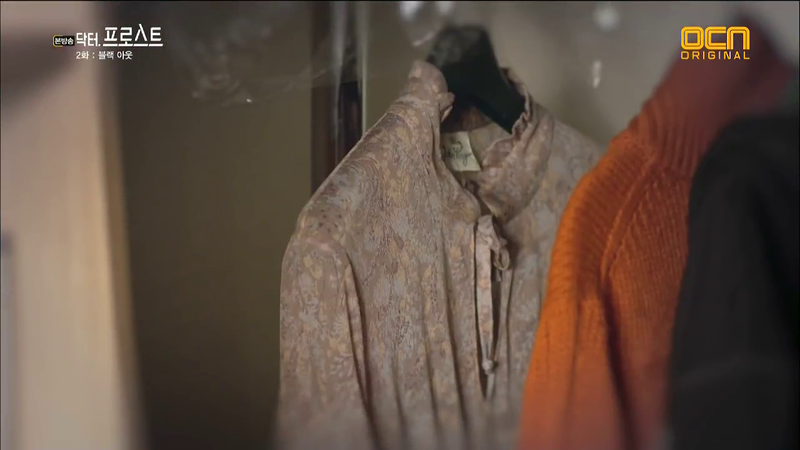 He notices the same fabric in a dress in JW’s closet. Umm…why is there a dress in there? Frost advises him to stay in his apartment, saying that it’s the closest place ot the police and therefore, last place they will think to check again. I don’t know about that logic. 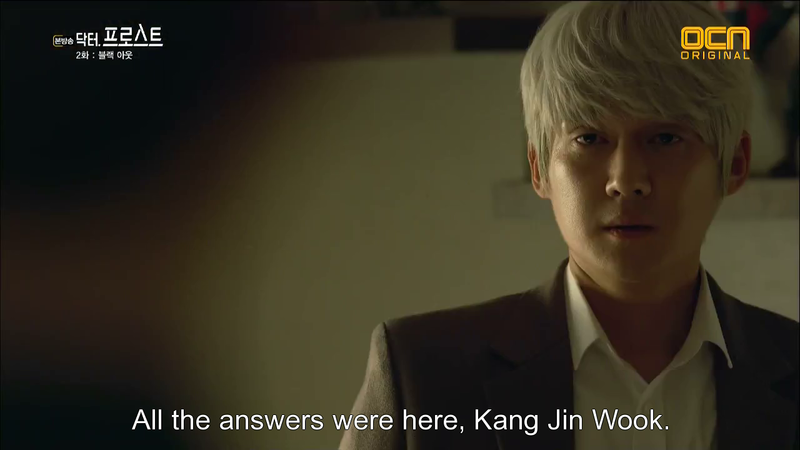 Meanwhile, Worst Friend Ever tells Detective Nam that there’s no way that JW would kill anyone. A waitress at the bar tells Frost that JW would always show up whenever OJM was working, and that she was actually quite popular with men. JW has always been extremely shy with women and therefore didn’t really talk to her. But after getting drunk the previous night and seeing her talking to some other guy, he got pissed and walked over, bragging that he’ll treat her well. She tells whoever’s on the phone with that he’s creepy. The watching waitress thought that they were fighting at the time. She also tells Frost that OJM appears to have had a sponsor (a wealthy, influential figure who’d give her money for sexual favours). Frost tells YSA to check out OJM’s home once more. SA tries the locked drawer as well once OJM’s mother is out of sight. 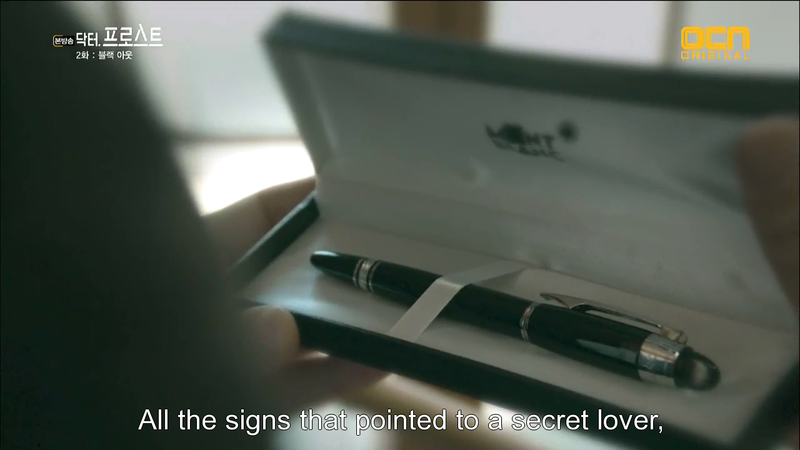 She guesses the location of the key surprisingly accurately (in a manner that actually feels contrived, just as it was in the first episode when she knew where the stalker was hiding) and opens the drawer to find a photo album, with pictures of JM with the same fellow she was watching throw the first pitch on tv in the bar at the start of this episode. In the coincidence of coincidence she nearly walks into the path of a truck while staring at her phone. The truck in question as a picture of the same man with his name underneath, Kim Han Sung, director of a foundation called Change Korea. Frost meets with OJM’s boss who doesn’t appear to care much about the death. Frost stares at an empty aquarium in the bar with interest. He goes through the CCTV and notes JM leaving with KHS on several occasions, particularly the night that she was murdered. They go over to the man’s office, and discover that OJM was the recipient of a scholarship his foundation provided. 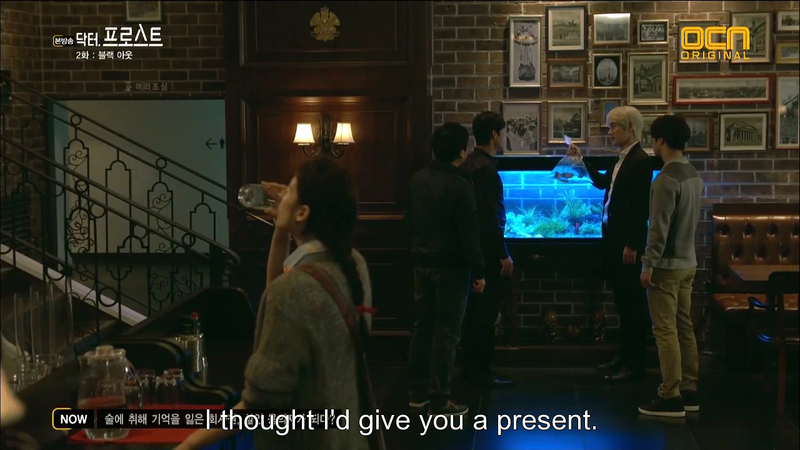 KHS plays word games with them saying he simply went to find JM to give her to scholarship (worst excuse ever). As they’ve no evidence, the group has little choice but to leave. 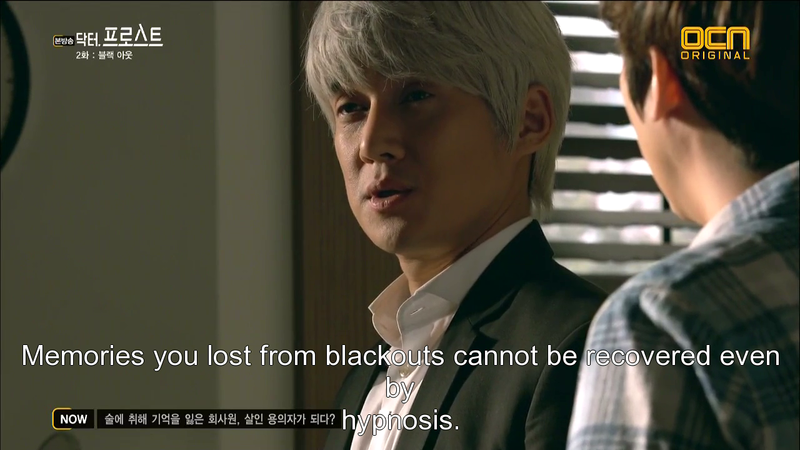 Frost deduces that HS is not the culprit, seeing how there was an anamorphic painting in the director’s office that said ‘WITH JIMIN’. 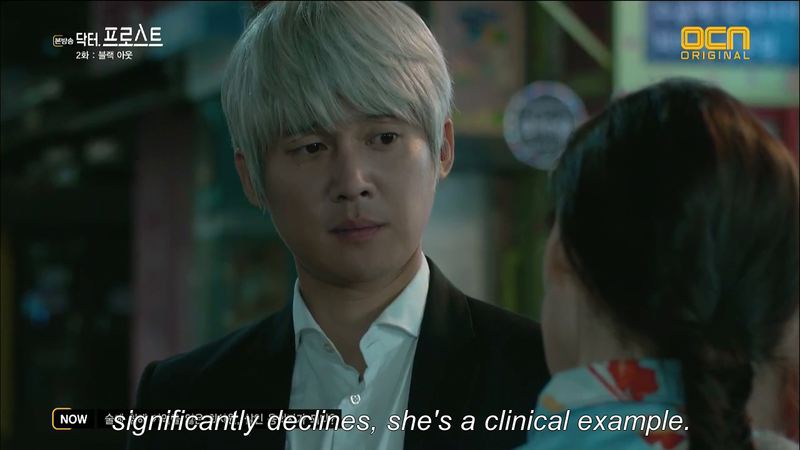 Detective Nam takes it as confirmation of an affair, but Frost doesn’t think so. 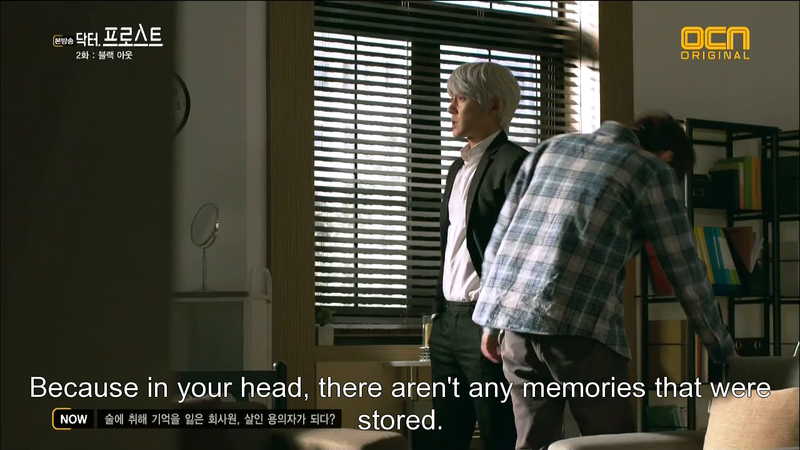 Detective Nam’s helper, Assistant Cha brings out more footage he found from another CCTV that shows JM’s boss roughing searching her in an alleyway around the time she was murdered, for something or the other. They hurry over the bar and ask the boss why on earth he failed to mention his own night-time venture with JM. 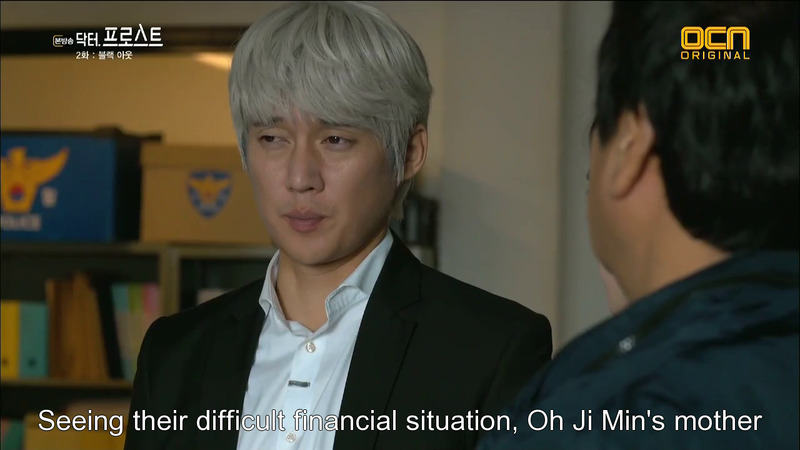 Boss says that he filmed KHS and OJM together to get some money out of the former but that JM took the data and ran off with it. He scoffs, saying that the footage doesn’t show him killing her, therefore the others are being presumptuous. SA runs in holding a bag of goldfish. 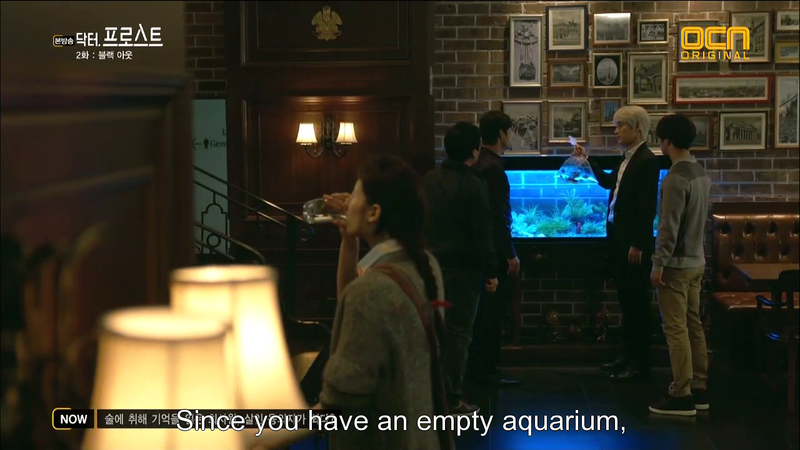 Frost walks to the aquarium an says that he thought he’d give JM’s boss a present, which leads to the following conversation. The boss flees instantly. 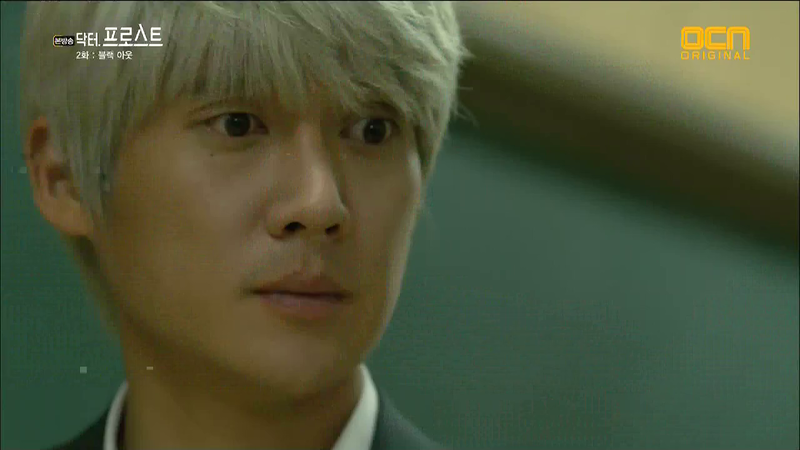 SA trips in him and he leads flat on his face where Assistant Cha handcuffs him. Frost mentions that he’d found something rather odd about the crime scene. Though blood was splattered on the wall surrounding the crime scene, there was none elsewhere. In addition, the murder weapon was missing. Frost noted minute flecks on blood on some of the bricks in the area (which was a construction site). He deduced that a brick must have been used to hit her, which would also explain the blunt force trauma on her head. Sure enough, there’s a brick in the aquarium. The boss sneers, admitting to hitting her on the head but never knowing that she would die. 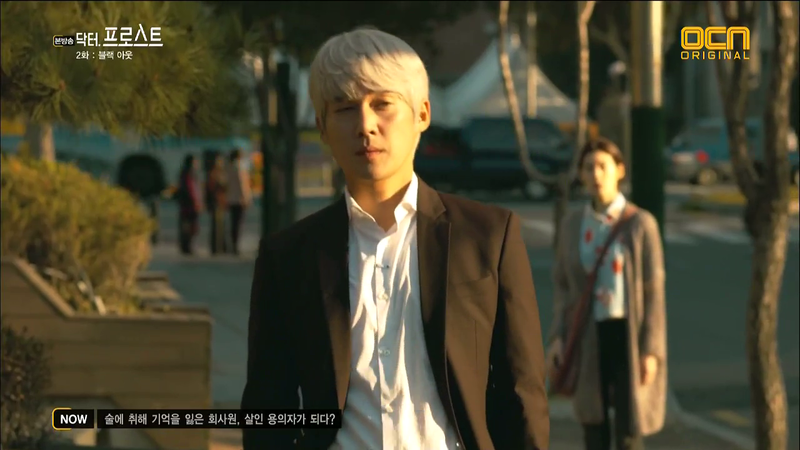 An outraged Assistant Cha marches him off to the station immediately. NTB wonders how Frost guessed that the murder weapon was there, plus the brick has been in the water for so long that fingerprints and such would have been washed. Frost admits to bluffing saying that it was unlikely that an innocent person would keeping insisting on them being presumptuous and using the brick and goldfish to get a spoken confession from JM’s boss was their only chance at indicting him. SA asks NBT to call off the search for KJW which he does obligingly. He says that he knew they were hiding him anyway. This is news to YSA who wonders where KJW was all this time. Frost remains silent. It isn’t too hard for her to add things up. Frost leaves as she calls out once more, thinking back to that conversation the drink she was drunk but this time we don’t fade out after the second “white-haired psycho”. Her words give Frost pause, and something in them must have hit the mark for him to have chosen to aid KJW. Meanwhile JW is at his apartment. Ominous music plays as he clutches his head, shaking. Hmm…he definitely needed counselling for something. What was it? 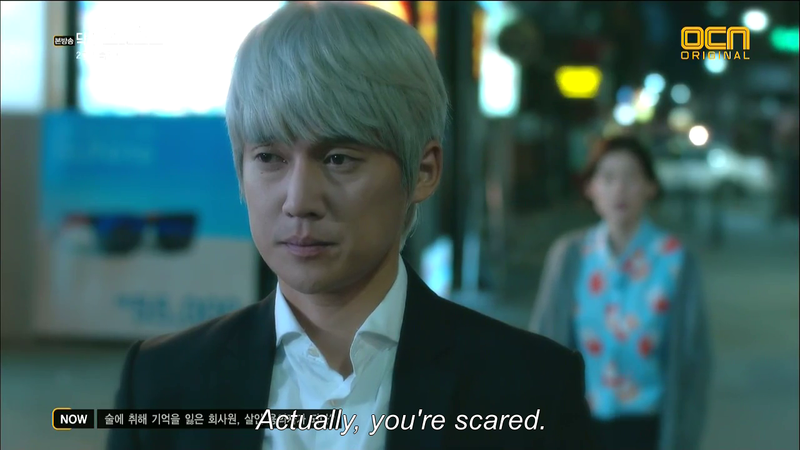 YSA arrives at the apartment complex to see JW being dragged out at stuffed in a trunk. She freaks out, trying to stop the car but loses it instantly. 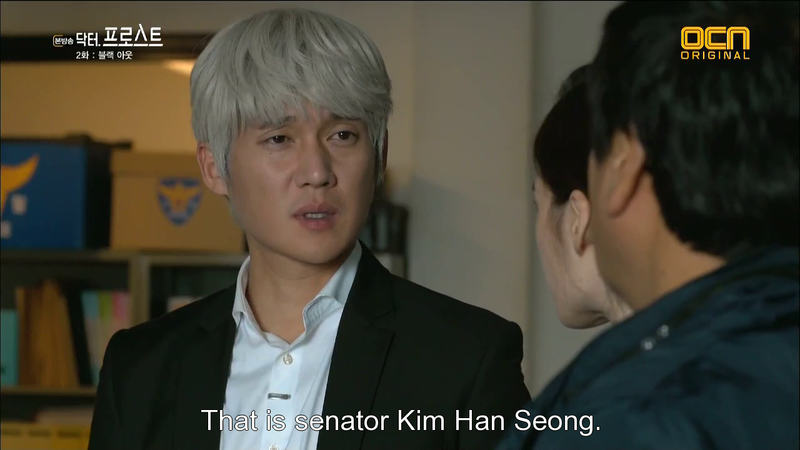 She rattles off the license plate number to Assistant Cha who verifies that its Senator Kim Han Seong’s car. NTB wonders if KHS really was OJM’s sponsor when Frost cuts in, using his analysis of her paintings and her room, to point out their true relationship. 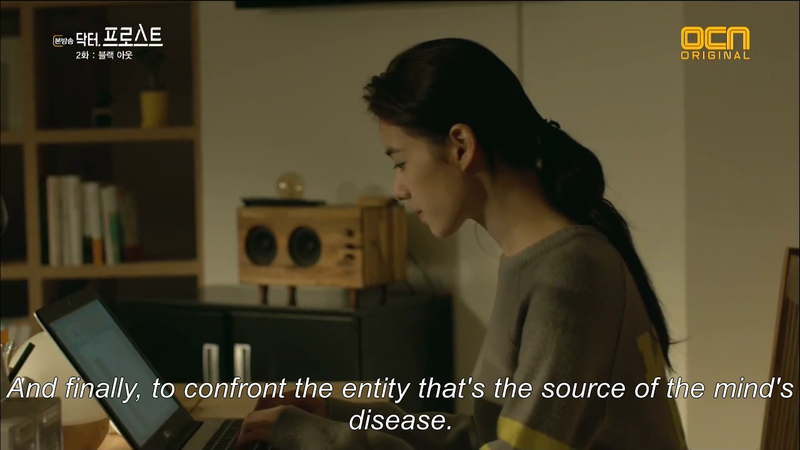 As such, it’s likely that KHS seeks revenge on his daughter’s killer, and means to get rid of KJW. So begins the chase to get to JW before something awful happens. 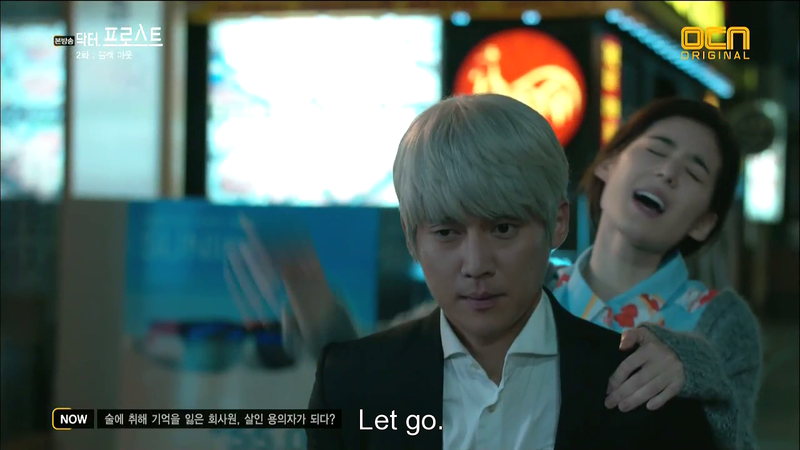 They race after the Senator’s car, arriving after a bound JW is thrown into a lake. Assistant Cha jumps in and manages to save him, while the unrepentant senator is arrested, saying that all he did was for his daughter. KJW wakes up in the hospital, where NTB informs him that there is no longer a search for him as they’ve apprehended the real killer. JW sighs in relief, as does YSA. Frost however, doesn’t look so certain. 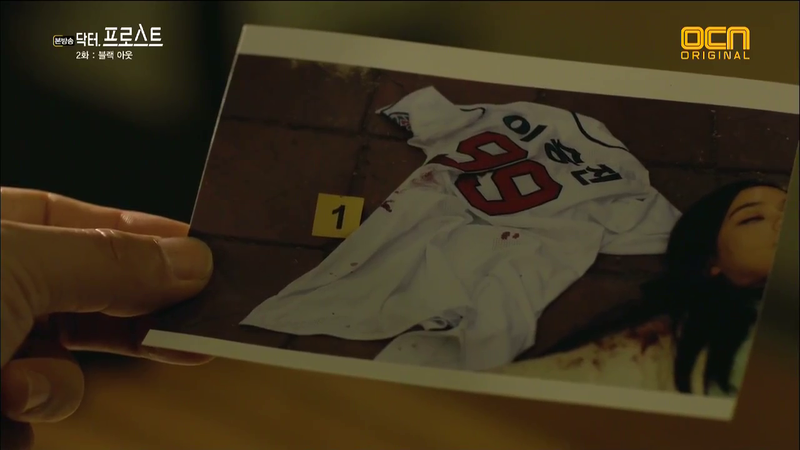 He returns to his office and looks at the photos of the crime scene once more, focusing on the baseball jersey. 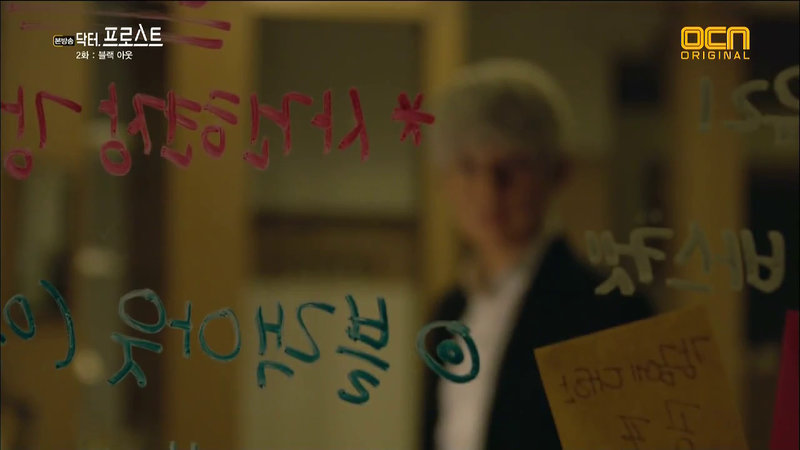 He starting flashing through all the little things he focused on in JW’s apartment, the dress, the photograph, then a single word on the notes he’d made on the glass board. Blackout. 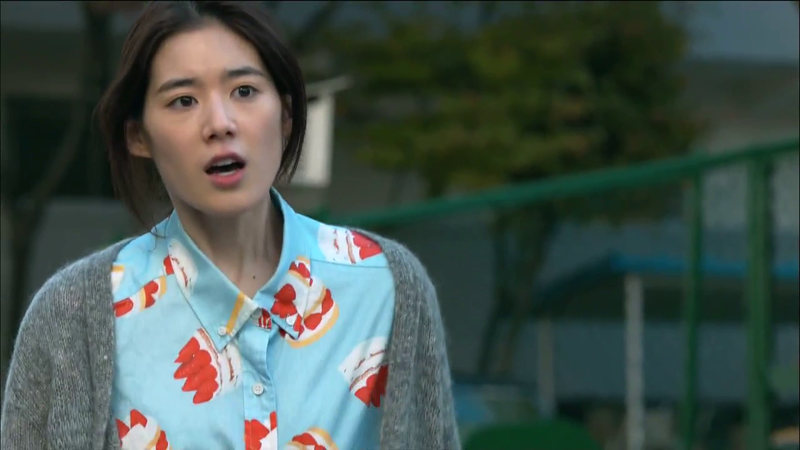 We return to KJW, whom YSA has taken back to his apartment. Frost’s already there though, flipping through JW’s notebook. 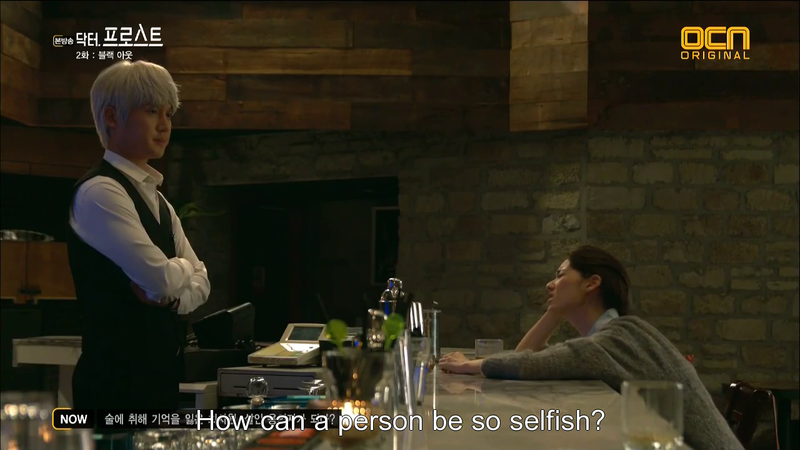 He notes that it was OJM’s words that got her killed in the end.He starts repeating the words the other waitress mentioned having heard JM say. KJW begins to shake with rage. We flash to his childhood where it’s revealed that his rather abusive mother yelled them at over and over a again, and made him write them down as well. She locked him in the closet for days, if she felt that he was too loud. Yikes. Frost repeats them over and over a gleam in his eyes and KJW begins to shake, remembering what actually happened that night, after her phone call ended. OJM said the words to her boss on the phone, but they triggered memories of JW’s childhood. A little while later, after being separated from his equally drunk friends, JW caught sight of a bleeding OJM staggering down an alley. She pleads for his help as she got attacked by her boss, but all he can think of are those words. He takes off his baseball jersey and smothers her with it. She claws at his shirt with her bloody hands resulting in the bloodstains on it, that he found the next morning. After doing the deed, he panics and flees. KJW cracks, going into shock. NTB arrives to arrest him, he mentions that JW’s mother committed suicide when he was seven. JW was left where she’d last locked him, in the closet, for three days. YSA gasps in pity. Frost remains silent as ever. 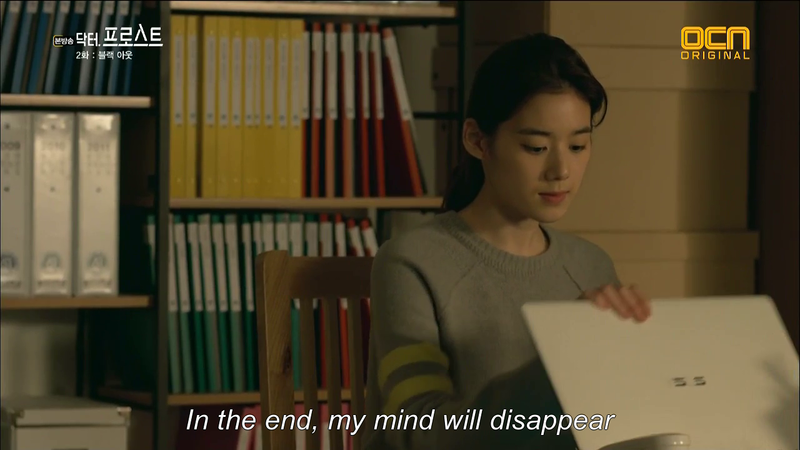 We cut to Seung Ah typing up the case and reflecting on what’s she’s learned during it. 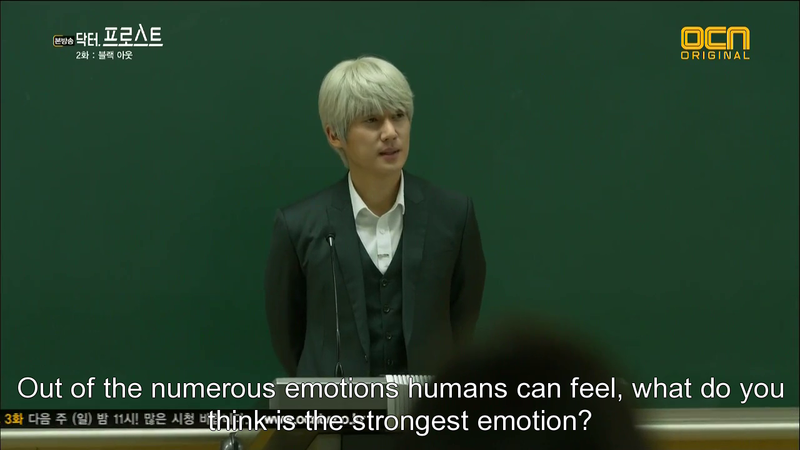 It’s an interesting message, and is juxtaposed with shots of Frost during a lecture, asking what the strongest emotion humans feels is. 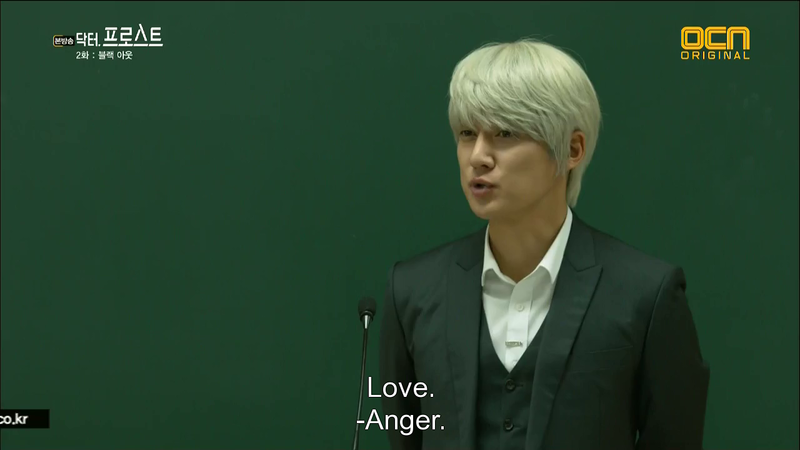 The class offers up various answer but it’s a softly spoken word that has makes Frost pause. He searches for the source and sees the same dead girl looking at him, asking if he too has felt fear. We flashback to a memory of a younger Frost, covered in blood in some sort of car accident. There’s little girl in the seat next to him, also bleeding. 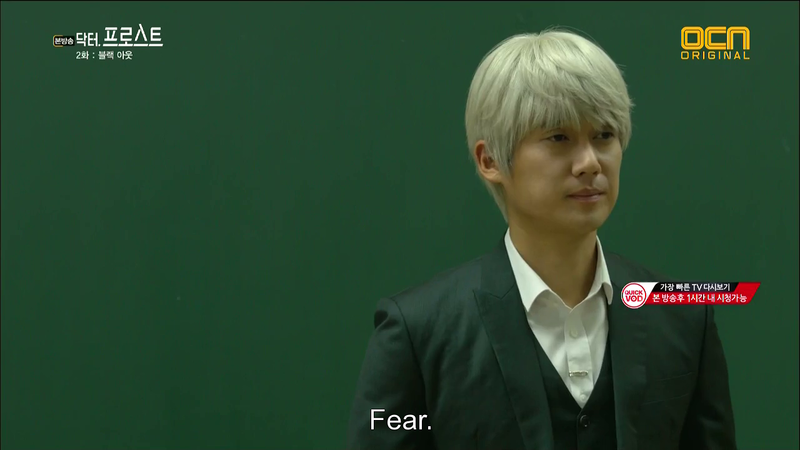 Frost stares at the hallucination in his lecture hall with something like shock, and panic, before his vision asserts itself. We cut to Song Sun and Frost at his bar, with SS vehemently stating that he’d no right to return, that he killed her sister and she she’ll be watching his every move from now on. Frost tells her to do just that. That’s it until ep 3!